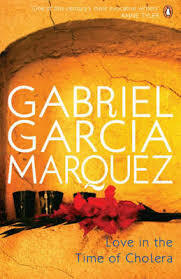 Gabriel Garcia Marquez, literary giant, died almost one month ago. Known affectionately as “Gado,” Marquez was first made internationally famous by his magic realism novel, One hundred years of solitude, and it remained his most famous and revered (a classic of the twentieth century), along with Love in the Time of Cholera. He won the Nobel Prize for Literature in 1982 as well as the Neustadt International Prize in 1958. He is also known for popularizing magic realism as a writing style, and hardly a conversation can be had about it without mentioning Marquez. 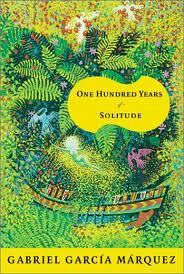 Marquez also happens to be one of my writing inspirations, and One hundred years of solitude is one of my all-time favorite books. His work began the Latin American literature boom (for which I am also grateful), and he was an integral figure in both literature and politics. 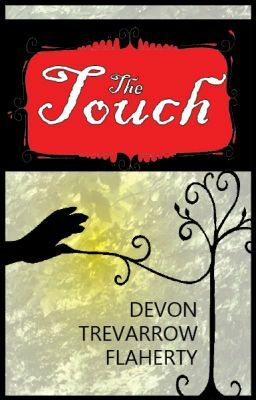 His stories are heavily influenced by his life and real places, events, and people. His main themes include reality, dreams, love, solitude, and the period of violent unrest in Colombia known as La violencia. Interestingly, while Marquez is known for magic realism–the deliberately impassive inclusion of miraculous events–his writing is also known as searing, spot-on realism. 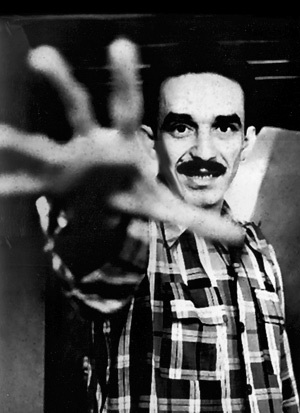 Marquez was born Gabriel José de la Concordia García Márquez in Aracataca, Columbia (the inspiration for his fictional Macondo), in 1927. He was raised by his grandparents (a retired colonel and a storyteller who related unnatural events to the child-Marquez in a purposeful dead-pan) and then by his mother and father, a pharmacist. Throughout the 50s, he was a lauded journalist for various papers. Into the 60s, Marquez married his college girlfriend, Mercedes Barcha, moved to Mexico City, and had two sons, Rodrigo and Gonzalo. During all this time, Marquez was also establishing himself as a a writer of short stories, novels, and eipcs. He would later also turn to screen-writing and film criticism. Leaf Storm, Marquez’s first novella, was published in 1957, after looking for a publisher for seven years. Then, Marquez was struck by sudden inspiration to write an epic novel about his childhood with his grandparents. After writing every day for 18 months, he had $12,000 in debt and A hundred years of solitude, which became his greatest commercial and critical success, despite his constant dismissiveness (and even rancor). His fame led him to move to Spain, deeper into politics, and to famous and tumultuous friendships. Afterwards, he spent a lifetime (mostly in Mexico City) writing and publishing his books: No One Writes to the Colonel, The Evil Hour, The Autumn of the Patriarch, Chronicle of a Death Foretold, The General in His Labyrinth, Of Love and Other Demons, and Memories of My Melancholy Whores. His works also include compilations of short stories and nonfiction books. He published a memoir (which was part of a trilogy that was never continued), Living to Tell the Tale. In his late life he struggled with lymphatic cancer and then dementia, and died of pneumonia at age 87, with incomplete projects.